HomeYou Can't Turn That Into A House! You Can't Turn That Into A House! 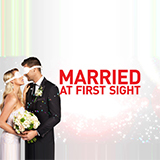 is a TV show on Australian national television from Channel 9 with an average rating of 2.3 stars by TVCatchUpAustralia.com's visitors. We have 2 episodes of You Can't Turn That Into A House! in our archive. The first episode of You Can't Turn That Into A House! was broadcast in August, 2018. Did you miss an episode of You Can't Turn That Into A House! but don't you wan't that to happen in the future? Please set an alarm and add You Can't Turn That Into A House! to your favourites, so we can remind you by email when there's a new episode available to watch. Completely free: handy! Brothers Taimoor and Rehan take on the riskiest build of their careers as they attempt to convert two massive grain bins for contractor Kyle's picky in-laws. Brothers Rehan and Taimoor saddle up on a bucking bull ranch in Cypress, Texas, to transform two busted school buses into a dream home for Will and Tana.